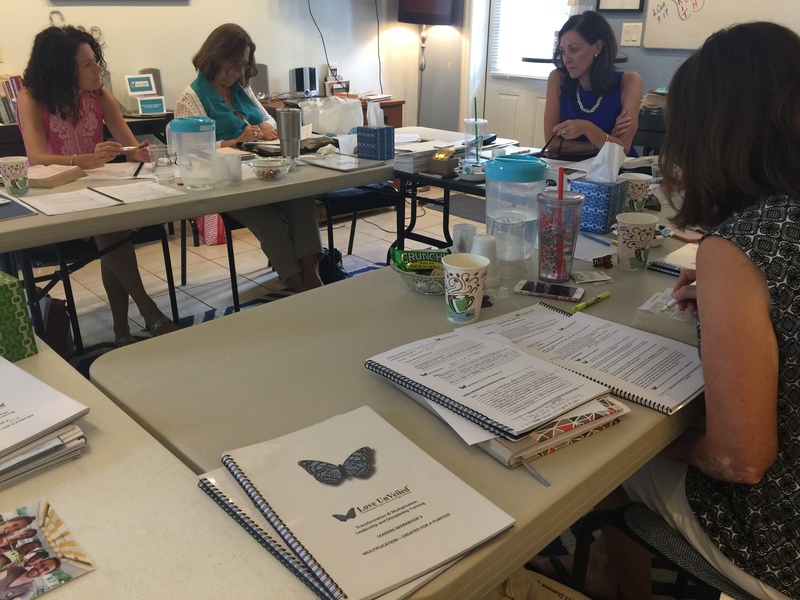 ​​This was the testimony of one butterfly leader​ on ​Day 3 of our workshop last weekend. Thank you for praying for our group in their fourth workshop! These godly women are in pursuit of God. He is equipping and empowering them to serve Him. There was such a sense of the Presence of God among us. It was a time of transparency, revelation, restoration and renewal. It all happened quietly and gently under the movement of the Holy Spirit as He worked through each heart. Our focus was ​Intimacy – ​Deeper intimacy leads to greater freedom which leads to greater service. As we pursued greater intimacy with the Lord we realized we had things that need to be dealt with in our own hearts, things that prevent deep intimacy. Understanding how God wants to be known (Hosea 6:1-6. Jeremiah 9:23), how we want to be known, and perhaps more importantly – why we don’t want to be known – led to some deep soul searching. ​Even after experiencing freedom the enemy pursues us just as he pursued the Israelites after they escaped from Egypt. With the Red Sea in front of them, they were terrified to see Pharaoh’s army chasing after them. The enemy pursues us with lies and fears, telling us we will never be free from our past. He causes offenses, betrayals, wounds and un-forgiveness to chase us so that we will never reach the true freedom and abundant life that Jesus promised. He is terrified we will finally understand the power and authority that God has given us. But God performed the greatest miracle of deliverance at the Red Sea. That’s the power we trust in to deliver us, no matter how great the stronghold, how great the sin, how great the fear, how deep the pain – we believe the same power that raised Jesus from the dead will give life to our mortal souls. ​Moses wrote​​ a song of deliverance: “I will sing to the Lord for He has triumphed gloriously! The horse and his rider He has thrown into the sea. Pharoah’s chariots and his army He has cast into the sea…they sank to the bottom like a stone!” Exodus 15. ​Pray for these precious women in their pursuit of God, that He will fill them with His Presence and empower them to bring other women to freedom. 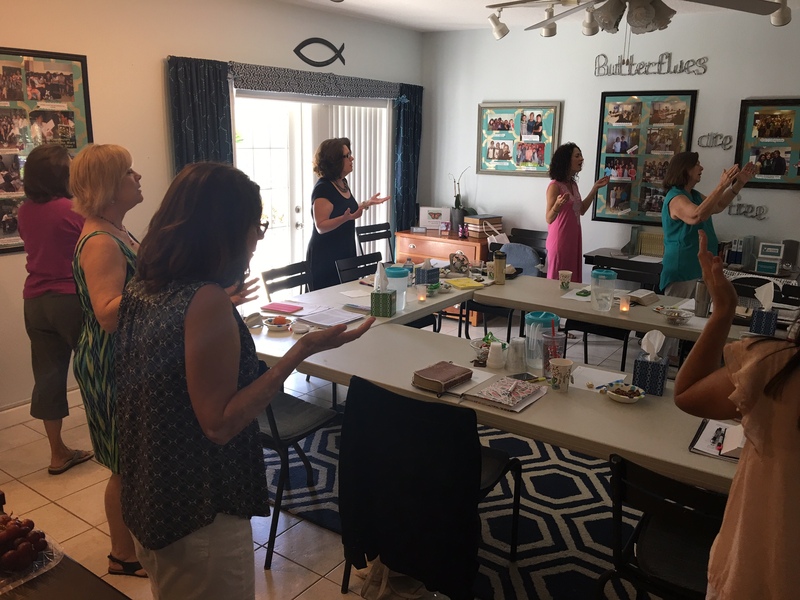 Pray for one of these leaders hosting a Prayer and Worship event for women at Lighthouse Church, a LUV partner in North Orlando where her husband is pastor. Two other butterfly leaders who attend the church, from our group will be there to support her. Pray the Holy Spirit will move through their boldness​,​ to ​draw ​women in their church into a deeper experience of intimacy ​and freedom in Jesus.